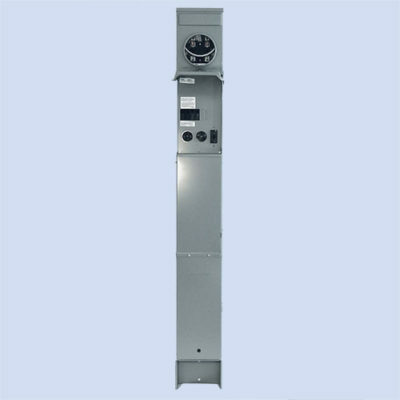 This metered pedestal is for RV use and has loop-feed lugs. Add on items like a water shroud or cable TV at anytime. Constructed of heavy gauge steel, this 50/30/20 Eaton direct bury pedestal is NEMA 3R rated for outdoor use and finished with a gray polyester powder-coat paint. 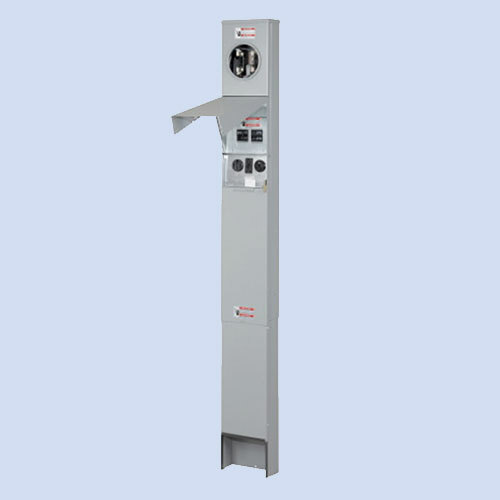 The ring-type meter socket is rated at 125 amps. The receptacle door swings up to open and can be locked. Units come factory wired and assembled with breakers and receptacles installed and has loop-fed lugs. Canada cUL approved. 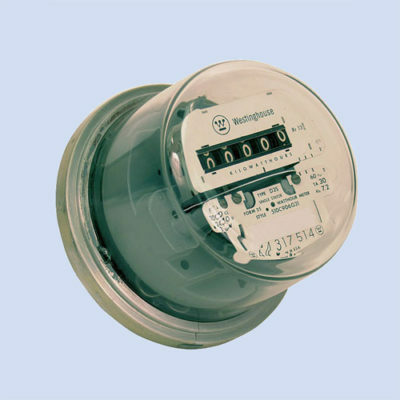 Options include fluorescent light, cable/TV, telephone, water shroud, and ringless meter socket. What is ring-type vs ringless?